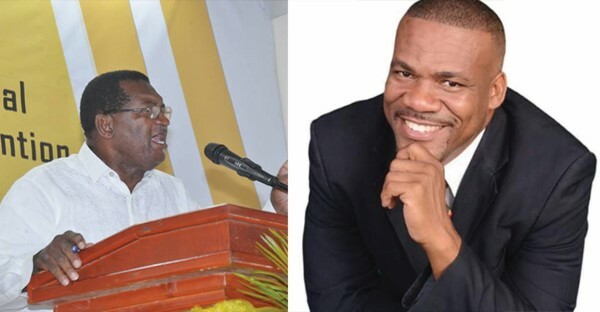 The voting process to elect two Deputy Leaders of the People’s Action Movement (PAM) had ended in controversy as the Parliamentary Representative for Constituency Eight, the Hon. Eugene Hamilton, had reportedly lost his position but the results were subsequently not officially declared. Information reaching The Observer states that Hamilton was ousted by new kid on the block Vernon Connor who had contested against Dr. Douglas in the February 2015 and lost. It was learnt that in previous elections held by the political party, members would have been given one ballot to cast their votes to elect two Co-Deputy Leaders, but last week at the Caucus they received two ballots to do so and, based on the number count, it was believed that some of them voted twice for the same nominee. Speaking on Freedom FM’s ‘Issues’ Wednesday (Apr. 13), Chairperson of the St. Kitts-Nevis Labour Party and Parliamentary Representative for Central Basseterre, the Hon. Marcella Liburd claimed that deceit exists in PAM and they wanted to get the rid of Hamilton. Liburd also claimed that a source told her Hamilton was perceived to be too close to Team Unity. She opined that it is wrong to remove a sitting Parliamentary Representation who has won his seat and replace him as Deputy Leader with “someone who just come and someone who ran in the same election and lost his deposit”. Liburd said if the political party intends to replace a sitting Parliamentarian who is also the Leader of Government Business in the House with someone who has lost his deposit in the last election, “then something is not smelling good about Unity”. The politician also claimed that Connor is an advisor to the party’s Leader and the decision to oust Hamilton “is not going down too well with the people in the Cayon community, because they see it is not only being disrespectful to Eugene Hamilton and embarrassing to him, but they see it as disrespectful to them who voted for him”. She reminded that at the last election Hamilton had gotten the same amount of votes as Richards and it had taken the Chairman’s vote which made the latter Leader of the party, “but now they have made sure that he is out of the way because they do not trust him”. However, contrary to Liburd’s statement of Hamilton no longer holds the position of Deputy Leader, the party’s Leader, Hon. Shawn Richards, told WINN FM that there has been no change and he confirmed that there was indeed a controversy in the election process. Efforts by this media house to contact Hamilton for a comment were futile.